Colorado Springs was one of the United States first resort destinations and continues to attract lots of tourists to this day. The city has many charms from high peaks and hiking trails to satisfy even the most demanding nature lover to the city itself which although not the cultural hotspot of its bigger brother Denver, it still has some sights. Home to four military bases, Colorado Springs is an important location for the United States and visitors to the city can get a feel of this by touring the bases and visiting one of the city’s military museums. The natural landscape here is the biggest attraction by far however and should feature heavily on your itinerary for Colorado Springs. 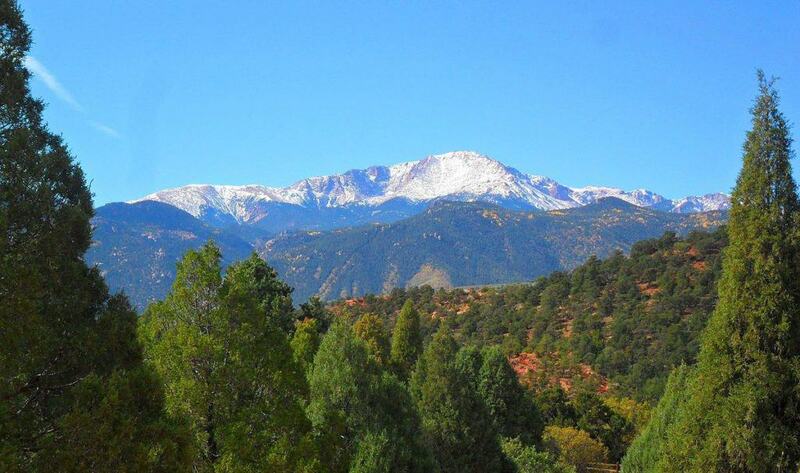 Not the highest of the many peaks near Colorado Springs but certainly the most popular, Pikes Peak measures just over 14,100 feet high. Over half a million visitors summit this mountain each year. The peak was once given the apt name Mountain of the Sun and its summit inspired the first ever draft of America the Beautiful. There are three main ways to reach the summit: Pikes Peak Highway, the Cog Railway or by foot via the Barr Trail.